When a project presents heavy loads and is large enough to justify mobilizing the equipment, the most suitable type of piling is currently the Large Diameter Drilled Shaft cast "in situ". This kind of pile has become ever more popular due to the practicality and speed of installation and its adaptability in different soils as well as giving the advantage of being able to immediately visualize and recognize the material being excavated into. Large diameter drilled shafts, Root piles and Diaphragm wall with the use of hydromills. 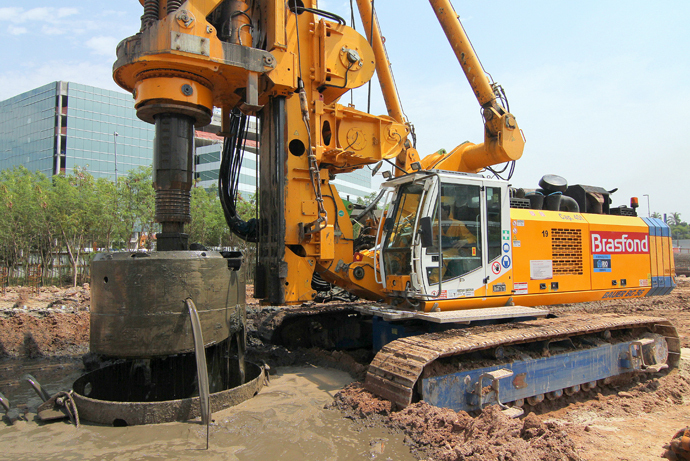 The drilling of large diameter piles can be performed near existing buildings, as they are totally vibration-free, and can reach depths of up to 330ft (100m). Another advantageous feature of large diameter drilled shafts is that their installation can also be performed offshore such as in the construction of ports and bridges. 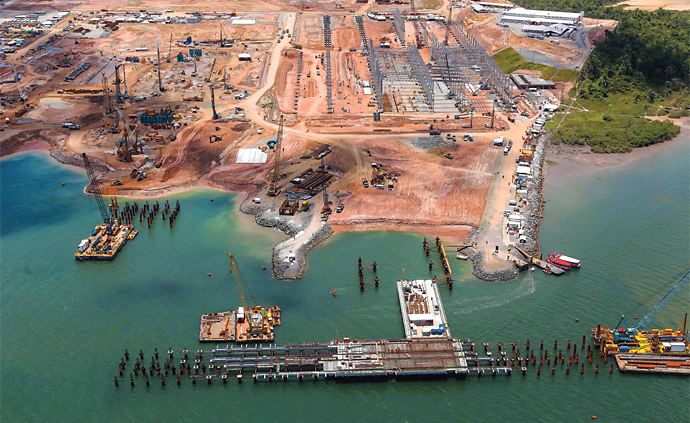 In these cases, the mechanical excavation and underwater concreting are preceded by the insertion of a steel casing, generally with the use of a hydraulic or vibratory hammer. The drilling rig, when required, shall be setup on a fixed leg platform or a flat deck barge. Naturally, the load capacity of a pile is mainly due to the soil characteristics, therefore an accurate geotechnical study is essential to define the maximum allowable load for each case. Drilled shafts, root Piles, diaphragm wall and jet grouting. Specifications, construction sequences, workloads and load capacities.